The hits just keep on coming from author L.B. Dunbar. 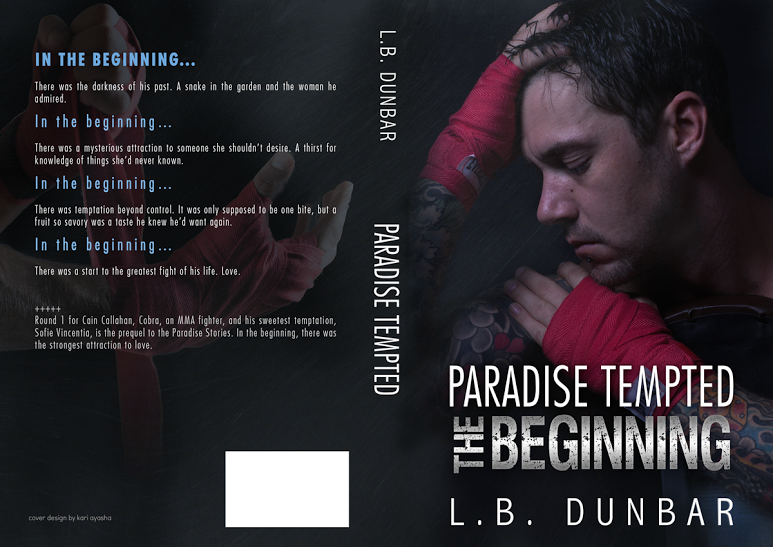 Today I’m excited to reveal her book cover for Paradise Tempted the Beginning available on March. 3 2016. There was the darkness of his past. A snake in the garden and the woman he admired. There was a mysterious attraction to someone she shouldn’t desire. A thirst for knowledge of things she’d never known. There was temptation beyond control. It was only supposed to be one bite, but a fruit so savory was a taste he knew he’d want again. There was a start to the greatest fight of his life. Love. 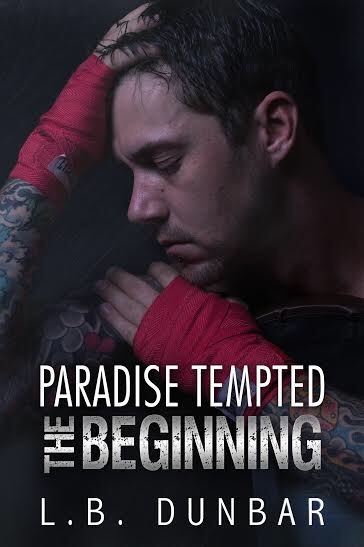 Round 1 for Cain Callahan, Cobra, an MMA fighter, and his sweet temptation, Sofie Vincentia. This is a short prequel to the Paradise Stories, followed by Paradise Fought: Abel and Paradise Found: Cain. In the beginning, there was the strongest attraction to love.